Google may be developing its own digital ledger to secure its cloud business. 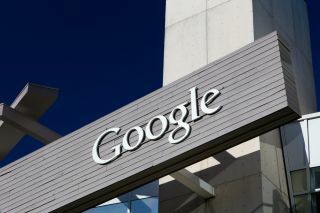 In an effort to provide additional security to its cloud business and fend off competition from startups, Google is reportedly working on its own blockchain-related to technology. Blockchain and other digital ledger technology is already being used by cryptocurrencies to securely record online transactions and now large tech companies are exploring how the technology could be beneficial to their own businesses. According to those familiar with the matter, a small team at Google is apparently developing its own distributed digital ledger that could be utilised by third parties to post and verify transactions. This technology would also help the company further secure its cloud service and give it an edge over its rivals Amazon and Microsoft. Google has also been looking into companies with experience in digital ledgers and has apparently invested and even acquired a few of them. Alphabet was also one of the biggest investors in the technology last year along with Citgroup and Goldman Sachs. The company has explored using technology from the Hyperledger consortium to build its own ledger though it could choose to use something more scalable given its large customer base. As a web pioneer, Google is constantly exploring new technologies to stay on the cutting edge and the reports that the firm is exploring blockchain could be just that or we may learn just how it plans to use its own digital ledger to secure its cloud business soon.